For the love of bunnies, zombies and frocks! : Do the survey! A big plea to our followers and fellow zombie enthusiasts. Please complete this simple online survey to help us better understand the zombie apocalypse. There is a serious lack of zombie research available and we here at BZF are keen to understand what the zombie apocalypse would feel like. While the survey may seen strange, it is based on accepted research methodology that we pinched from a major research company. Your results will be used to visualise what the Zombie Apocalypse experience would be like. We really, really, really wanted to offer a promotional giveaway to one lucky person who had completed the survey. However further investigation of the Gambling Laws here revealed this would be a Trade Promotion Lottery and that we needed to apply for a license and pay a hefty fee. Even for a prize only a few dollars in value. The chances of us getting a criminal conviction for giving away a coffee mug is slim, but we didn't want to risk it. As an incentive, someone in Queensland is giving away this limited edition, BZF coffee mug to one lucky person. (we are on a tight budget okay). 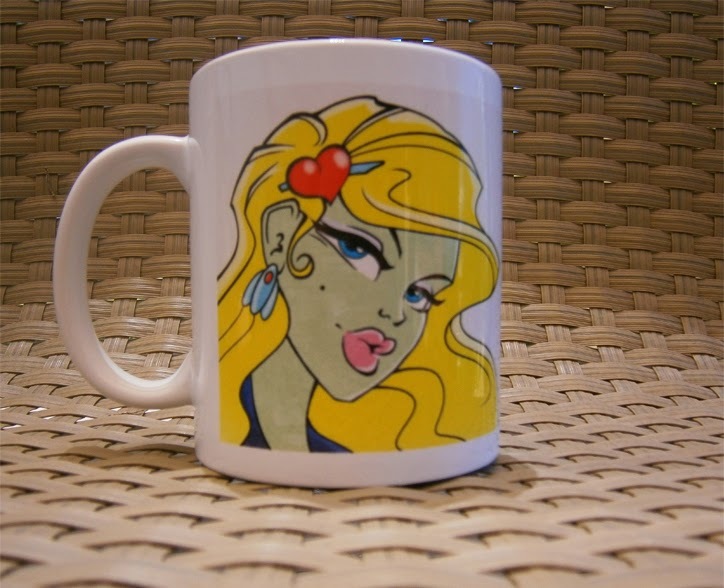 This stylish mug features Cheryl the Zombie in glorious technicolor. On the other side is the quote "Kylie's fashion tips are to die for" a tribute to Mrs K, creator of BZF. A prefect gift if your name is Kylie and you are an aspiring fashionista. Not so good if your name is Steve. Never-the-less this is a awesome item valued at a amazing A$5. If you want to be in the chance to win it, just include your name and email address in the survey. If you are feeling paranoid, leaving your details is purely optional, so don't let it stop you doing the survey. What the heck, this person in Queensland is feeling really generous and will also throw in this trendy keyring. Perfect for the holding the keys to your zombie apocalypse bunker. The one lucky person to receive these treasured items will be selected randomly from those who completed the survey and provided an email address and name. If the one lucky person happens to live outside of Australia we will rummage down the back of the sofa to find the extra money to cover the additional postal costs. The survey closes on Sunday 28 December 2014 so don't delay. The lucky person will contacted by email to arrange delivery. This giveaway is organised under the Queensland state gambling laws Category four, promotional games (trade promotions). My mum reserves sole and final judgement as to all matters concerning this giveaway. Enough with the legal stuff, go do the survey! Bite off move gambling legislation that you can chew.